The axiom has particular relevance given the rising buzz about ‘the bubble’ in the global financial markets. The syntax of ‘the bubble’ has been visible for some time—thanks to swilling liquidity, aka qualitative easing, injected by governments in the wake of the financial crisis to stimulate demand, investment and growth. Milton Friedman, in his book Free to Choose: A Personal Statement, expounded on the four ways of spending money. You on yourself, your money on somebody else, somebody else’s money on yourself, and the fourth, spending somebody else’s money on somebody else—with scant incentive to seek better returns. That, Friedman said, is likely to be the government. He averred, “The connection between the taxes an individual pays and the spending he votes for is exceedingly loose” and hence prone to ineffectiveness. This in some sense partially explains the perpetuation of stimulus in all its magnitude. Nearly a decade later, the stimulus is sloshing in the system. In nearly a dozen economies—particularly in the EU—interest rates are around zero. Indeed, ratings agency Fitch estimated the value of negative-yielding government bonds to be around $9.5 trillion—these are sovereign bonds if held to maturity would translate into losses for the investor. There is another less analysed factor. In 2016, world GDP was around $75 trillion—and it could touch $78 in 2017. Assume that accretion of savings to financial sector is around five per cent (the gross domestic savings rate, including government and private for 264 countries as per World Bank, is at around 25 per cent). That translates to around $2 trillion. Where should this quantum seek returns from in an era when industrial corporations are building cash reserves? Money is fungible and will seek returns as it has—first in oil and commodities, and thereafter, in equity markets. Despite the many prophecies of political and economic doom, equity markets have spiralled. 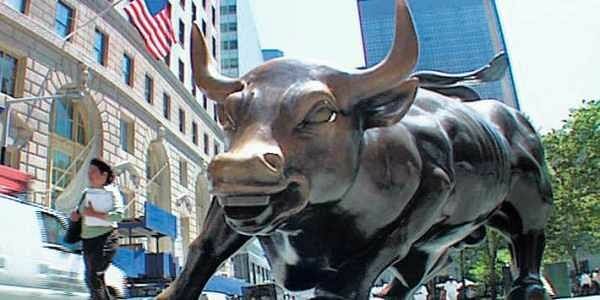 Last week, the Dow Jones Index touched an all-time high of 22,000. Since the Trump victory, supposed to trample the bulls, the index has added 3,600 points. Unerringly, US President Donald Trump did tweet to appropriate credit. It could be argued that the rise rides on the much debated and doubted tax cuts promised by Trump during the campaign. For sure, the results of corporates have been healthy. There is also belief invested in the ‘two Americas’ theory—that the turmoil in the Trump administration can do little to hurt the earnings of companies. All this though does not explain or justify valuations. Analysts at Goldman Sachs say annualised returns on S&P 500 at current levels could be single digits or negative for the next 10 years. That has not detained the rise of markets fueled by easy money Some of the monies have found the way to emerging markets—and into India. Scrips on the Indian bourses are averaging at 24 plus times earnings. This week, the Nifty 50 shot past the 10,100 mark and BSE Sensex pushed past 32,600—that is, 7,000 plus points in seven months flat. That very day, the Nikkei Purchasing Managers’ Index (PMI) for manufacturing touched the lowest since February 2009, and the Nikkei PMI for services dipped to 2013 levels a day later. There has been tirade to lower rates to fit with low inflation. On August 3, the Reserve Bank of India cut the repo rate by 25 basis points—the thesis being lower rates will spur credit, investment and growth. Fact is, since the easing of rates, credit growth has fallen further and investment is at a record low. The reasons are not unknown. Lack of investments and job creation has been a consistent meme in public discourse since 2014-15. In February 2017, the Economic Survey said, “Since no clear progress is yet visible in tackling the twin balance sheet problem, private investment is unlikely to recover significantly from the levels of FY2017.” This week, the RBI echoed the concern: “While the outlook for agriculture appears robust, underlying growth impulses in industry and services are weakening, given corporate deleveraging and the retrenchment of investment demand.” Meanwhile, a CMIE jobs survey revealed loss of 1.5 million jobs between January and April 2017. Markets shrugged off the warning. This week, Alan Greenspan, former chief of the US Federal Reserve, stepped in. Interest rates he argued “are much too low and therefore sustainable”, and added, “We are experiencing a bubble, not in stock prices but in bond prices.” The point being when interest rates go up, the impact on the bond market will carry over to the equity segment. Lessons from contemporary history merit individual and institutional attention. In 2005, Ben Bernanke warned the world about the ‘significant increase in the global supply of saving and its implications’. In 2010, Greenspan, testifying before the Financial Crisis Inquiry Commission, explained, whether it was glut of savings or shortfall of investment intentions, the result was the same—a dramatic rise in asset prices followed by collapse. The signs are visible—global companies are sitting on over $3 trillion of cash, thanks to uncertainty about growth. This is just as true of Indian companies. For India, there is the systemic risk from dependence on global flows, and there is the need to propel the end of Permission Raj to boost investments. As investors find themselves jostled between the fluid ‘buy on dips’ and ‘sell on rise’ theories and part with money at the persuasion of banks and money managers—who are essentially, like in the Friedman analogy, channeling somebody else’s money with somebody else—it is instructive to revisit the wisdom in the epic Mahabharata. King Yaksha asks Yudhishtir what he thinks is the greatest wonder. Yudhishtir points out that mortality is a fact of life. Yet those living desire to live forever, are invested in immortality. He could well have been speaking about investors and the financial markets.